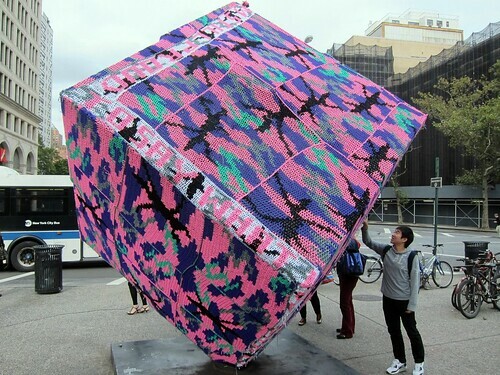 Sure enough, the Astor cube got stripped of its sweater yesterday. Luckily its installation was videotaped for posterity so we can remember the Alamo in crocheted form – Bowery Boogie has the footage. On Untapped New York, “Downtown Doodler” Bernadette Moke goes on an Urban Design Week tour of the Bowery and offers up a history of the buildings complete with sketches.